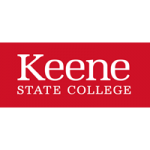 The 2018 edition of the biennial Keene State College (KSC) Summer Institute on Genocide Studies and Prevention took place between June 3-8 on the KSC campus in Keene, New Hampshire. Hosted by the Department of Holocaust and Genocide Studies, the Summer Institute built on the success of the initial event, held in 2016, and welcomed 19 international experts for the week-long event dedicated to the study, research, and teaching of genocide prevention. Three members of the Auschwitz Institute’s Academic Programs Department and one member of AIPR’s International Advisory Board participated as instructors in the Summer Institute. As in the past, the 2018 Summer Institute was conducted with three primary objectives in mind. First, the Institute worked towards promoting academic work within the distinct and rapidly expanding field of genocide studies. Second, the curriculum encouraged the development of courses and programs on genocide studies within the institutions of participating experts. Finally, the event strengthened the capacity of participants to further cultivate interdisciplinary academic specializations in the field. Throughout the week, the Summer Institute provided participants with an opportunity to engage with prevention-centric modules distributed across instructional days devoted to specific themes in the field. While the first instructional day was devoted to an introduction to genocide studies and prevention, the following three days were premised on examinations of upstream, midstream, and downstream prevention, respectively. The Institute concluded with a final day devoted to a comprehensive capstone module. For more information, please see the news article on the 2018 Summer Institute posted to the website of Keene State College as well as the Cohen Center for Holocaust and Genocide Studies.